Photo service Molskis is a market leader in baby swimming photography and videoshooting in Finland. We photograph families during regular baby swimming lessons. Also special photoshoots or video services, like company presentation videos, are included in our services. 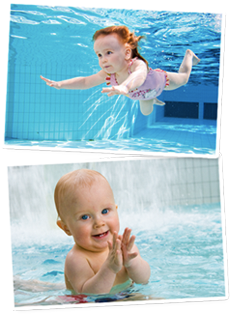 We have close co-operation with the largest baby swimming organizers in Finland. For example Folkhälsan, Cetus, Pikku Delfiinit and Helsingin Vauvauimarit use our professional services. In addition to our home town Oulu, we do shootings all the way from Rovaniemi Arctic Circle to our capital city Helsinki.